It contains the same essences as Five Flower remedy, with Crab Apple for cleansing. 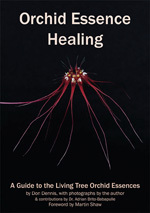 The plant essences are added to the unique Healing Herbs cream formula. For external application. Totally free of artificial additives, dermatologically tested for sensitive skin and safe for both mother and child. Calm emotional distress with a cream absorbed quickly by the skin leaving a longlasting protective surface. For external application. This formulation is totally free of artificial additives, dermatologically tested for sensitive skin and safe for both mother and child. This unique formulation combines the effectiveness of six Bach flowers to calm emotional distress with a cream structure which is absorbed quickly to moisturise the skin and leave a longlasting protective surface. 15g Airless Pump - A hygienic dispenser convenient to use anytime, anywhere. The rescue remedy combination of Dr. Bach: Cherry Plum, Clematis, Impatiens, Star of Bethlehem and (in cream form) Rock Rose. Also has Crab Apple and Calendula. For use in any sudden difficulty. 150g Airless Pump - A hygienic dispenser convenient to use anytime, anywhere. Crab Apple is added to Five Flower remedy to make the unique Healing Herbs Bach cream formula: Cherry Plum to be calm, Clematis to revive, Impatiens to relax, Rock Rose to give strength and courage, Star of Bethlehem to rebalance and Crab Apple to cleanse. Made with organic almond oil, not tested on animals and suitable for use by vegetarians it soothes and revives through the skin.